Pick Le VPN over proxy websites for privacy and security. So as it turns out, Data Privacy Day is just around the corner. This event is very important. Now, while experts debate on the importance of net neutrality and internet for all, it is important to take precautions at the individual level. Always remember that your online activities are under a scanner every time you go online. In simple terms, online privacy is a great concern these days. Of course, there are numerous proxy websites and VPN service that you can use to stay anonymous. Some basic steps at your level will help you ensure your data privacy. Proxy websites allow you to unblock the websites of your choice, without revealing your identity. If you want to stay anonymous and protect your data privacy, then proxy websites are one of the ways to go. This kind of a proxy server masks your actual IP address. Hence, you are anonymous while browsing the internet, making it impossible for others to track you. However, your data does not get encryption. Therefore, some data security risks exist here. Irrespective of the kind of proxy websites you’re using, they all come with a server that relays the data package for you. That means the real IP address is completely sidelined. That protects your identity. As you know that a proxy and a VPN works in the same fashion. Both will re-route your internet traffic and change your IP address. However, there is some difference. A VPN service provider encrypts all of your traffic. It uses VPN servers to replace your ISP and route off all the traffic. A VPN completely protects your data from breaches or leaks. Now, even your ISP will be unable to track your online activities, keeping your data completely private. A VPN creates a kind of tunnel, between you and the destination (the website or portal that you want to access). All communication and data pass through this tunnel. Now, this is where it gets interesting. You can also ensure the security of your IoT devices with the help of a VPN router. As you know, Le VPN is pledged to ensure data privacy and data security of its customers. 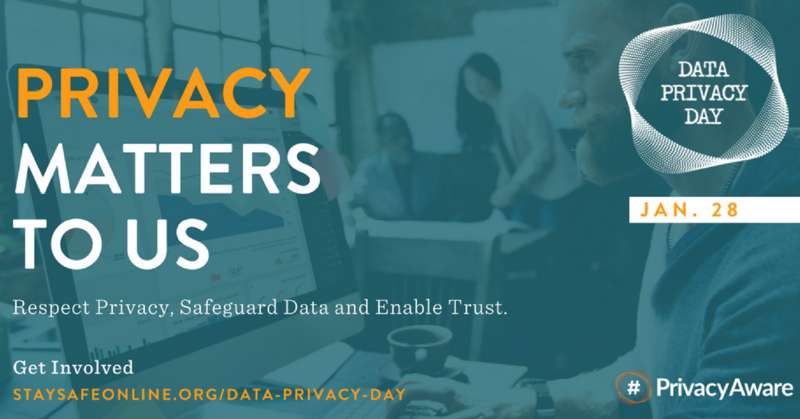 Le VPN is also a supporter of the Data Privacy Day in the US. Subscribe to Le VPN and ensure your online data privacy with VPN online.